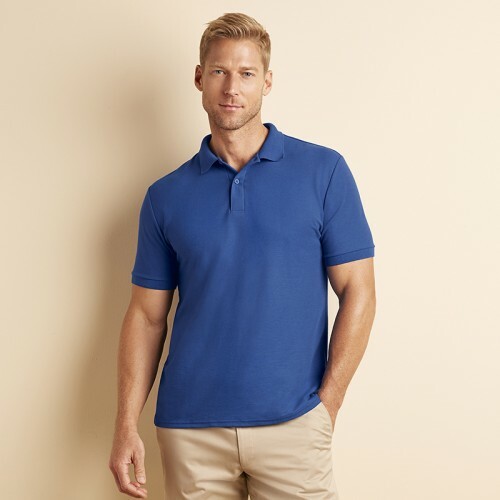 This poly cotton polo is a new item for 2015 from Gildan which has a fabrication of 65% Polyester, 35% Ringspun cotton - The GSM is also heavy make it ideal for detailed logo works. The material is White 200gsm, Colours 207gsm making it ideal work wear clothing. We have a wide range of sizes on offer which include S, M, L, XL, 2XL, 3XL (36"", 38/40"", 40/42"", 42/44"", 44/46"", 48/50"") "